Then people blame China for making low-quality electronics. News has recently spread across the world like wildfire about the 4 $ smartphone up for sales in India this week. Yes, you read it correctly, it is 4 friggin’ dollars for a smartphone. Its specs aren’t that bad at least on paper, so a phone that cheap deserves a review of sorts and here it is! 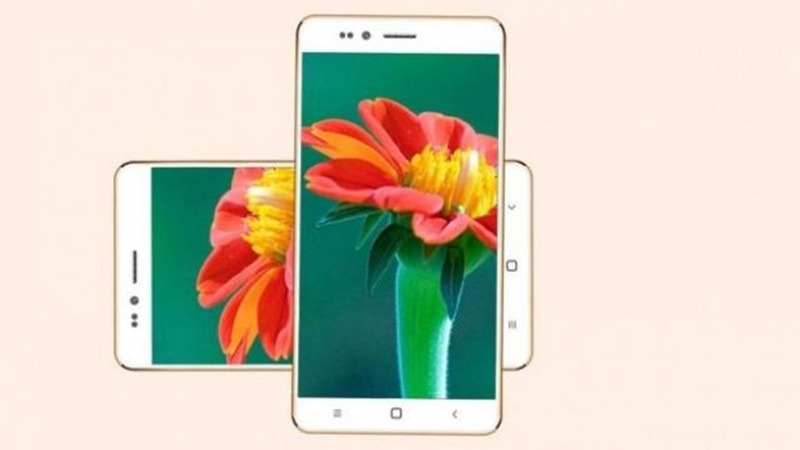 Manufactured in India by Ringing Bells, the Freedom 251 as it has been named, is priced at 251 INR and therefore, it is under the insane 4-dollar mark. It has a 4-inch display, a 1.3 GHz Quad Core processor, 1 GB RAM and 1450 mAh battery. It even supports front and back cameras with 3.2 Megapixels available at the back and 0.3 megapixels available at the front. It has 8 GB worth of internal storage and expandable memory up to 32 GB using a micro SD card. It runs on Android 5.1 Lollipop and comes preinstalled with several necessary apps like Facebook, Youtube, Google Play and Whatsapp. That’s a handful for the cheapest smartphone ever! Now these are very interesting specs for a smartphone worth just peanuts quite literally. The current retail price of peanuts here is like 2000 Rupees per Kg or 200 rupees per 100 grams which is more expensive than this phone if it is also reduced on a per 100-gram scale! Who would have thought of that! Ringing Bells is aiming the cheap phone will perform well in the swathes of the economically destitute Indian population that make up more than 60 percent of the 1-billion-plus peeps living here. It will help the small farmers, fishermen, traders and rural women to find the right price for their produce and skills. That is indeed a revolution of sorts in the country where IT is growing fast with more people online than entire Europe combined. But what about the neglected population that is three times larger than this number? Freedom 251 could be the tool they need to prosper. But, considering the track record of Indian companies and their cheap failed gadgets, we must not get our hopes that high up. Remember Akaash, the Android tablets that were bought for 2,500 INR by the Indian government and given to the people at a subsidized price of 999? Well, it was a failure as the poor quality of the device rendered most of them unusable and poor electric circuitry meant most of them were fried at the end of a year adding to the enormous piles of electronic junk piling up in its cities. We don’t know how much the phone has been subsidized by the Indian government to arrive at this magical figure but surely it has been done. It was manufactured in India as part of the government’s ambitious Make-in-India campaign. 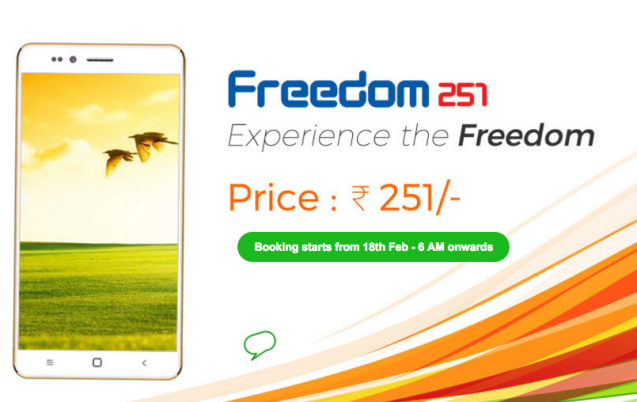 So, let’s see how Freedom 251 does in the market. It will definitely be a success in sales figures due to the extremely low price, but will it fulfill the IT void in the local populace like it is meant to be? That, however, remains to be seen! I too had booked one phone. But there may be a chance of fraud. Many news are in circulation in India about this phone. . Competitors had already submitted there concern to the government. Let’s see the end results. If it is true it will be a great success. This phone selling is a scam. They have actually bought some pieces of Adcom Ikon 4 mobile, pasted their logo sticker in front and tricolor on the whole back to hide the original logo. That phone is priced at least rs 3800 or $60 online. It is not possible to buy a phone in bulk at $40 and sell it in $4. They have actually got it some pieces to distribute in the media and for marketing purposes. They are getting booking for it with full price paid upfront. The delivery is promised in 4 months. So do you think they are going to deliver it or just going to run away before the delivery date arrives? On the first day, the website even allowed for half the phone to be ordered which tells us the story of their legitimacy. Plus if you order it, the html link created for the successful booking shows your full address. Just changing the digits of HTML link, you can browse the details of other buyers. Do you think they are really serious about you? It seems to be defeating the purpose, you are probably not giving the poor in India a $4 decent phone, but most probably making them waste $4 they don’t have on quite possibly junk tech….